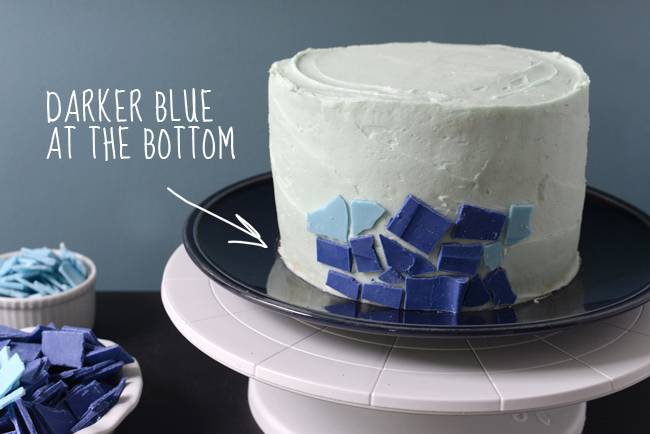 This mosaic cake is inspired by the colorful blues found in the ocean. It's delicious, fun to make and it celebrates all things summer! I originally conceptualized it as a cupcake, decorated with blue frosting and topped with Swedish Fish. But I wanted something more exciting and creating a mosaic cake was the perfect excuse for me to break out a bunch of white chocolate candy melts I've been wanting to use. 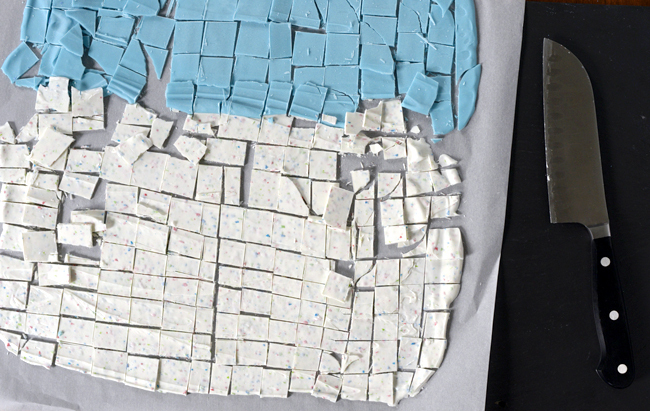 Making mosaics out of white chocolate couldn't be easier, and it's actually quite fun. 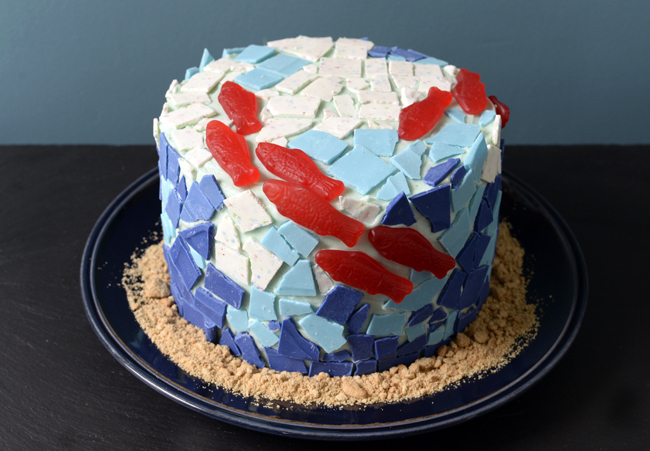 (Not as fun as eating an entire box of Swedish Fish while decorating this cake, 'cus I did that, too. But still...it's a good time. And, it's something you can do with your kids!) 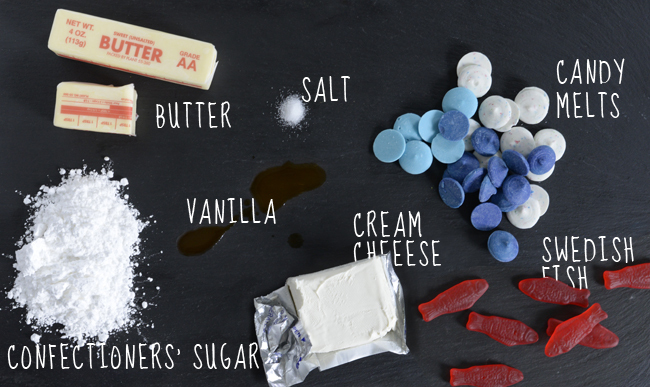 Although candy melts aren't top-quality white chocolate, they are really forgiving (meaning they're easy to melt and work with). Plus, they come pre-colored (a great shortcut!) I used three 12 oz. bags in this recipe and had a ton of "mosaic tiles" left over. But I think it's nice to have at least three colors on the cake, so if you're left with extra tiles, just bag them up and save them for another project. 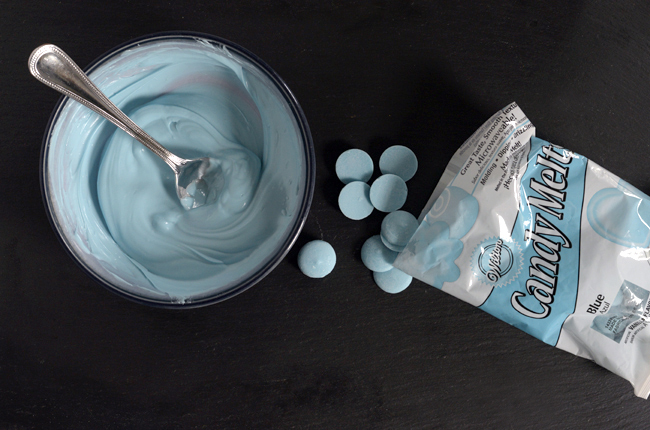 Or, you could always tint plain white chocolate with gel food coloring to your liking. The white chocolate tiles I made were roughly cut to about 1/2" long, making for a more "abstract" pattern. If you cut your tiles smaller, you can achieve a more intricate pattern. I added the Swedish Fish for a pop of color and to bring the "Ocean" theme to life. All looks aside, the real star of the show here is the buttermilk vanilla cake. It's deliciously buttery, topped with a cream cheese buttercream that has just the right amount of sweetness and tang. 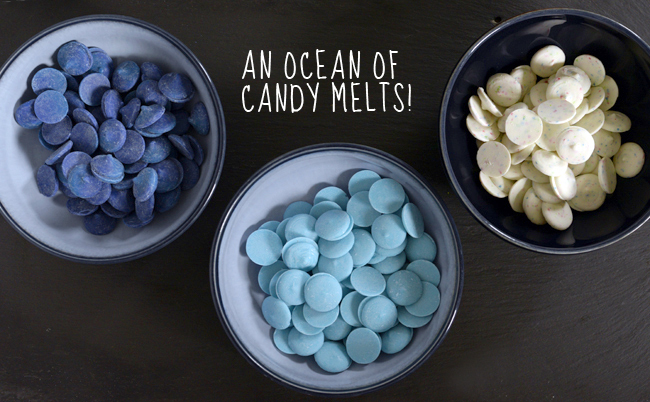 It's tinted blue to go with the ocean theme, but you could always just leave it white. This cake is perfect for a birthday party at the pool, beach or any summertime gathering. After this past winter, I promised to celebrate every gorgeous summer day. And while I might not make this cake everyday, it reminds me why I love the ocean so much. 1. Preheat the oven to 350. 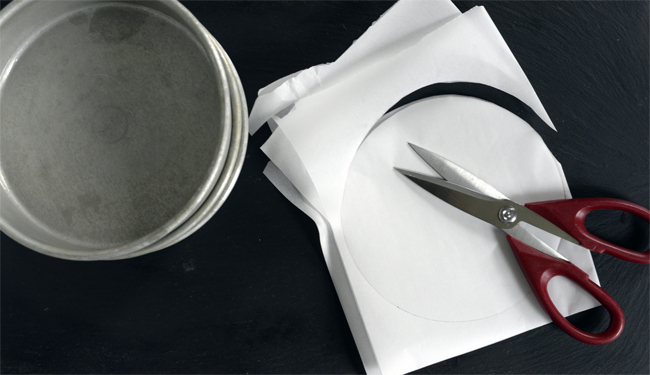 Grease three 8-inch round cake pans, line the bottoms with parchment paper, grease and set aside. 2. 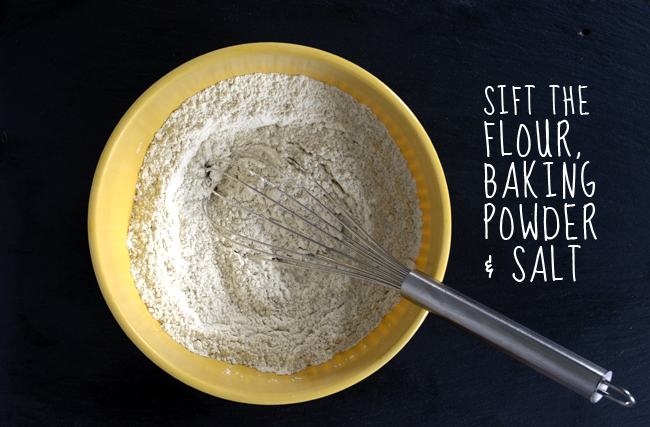 In a medium bowl, sift or whisk together the flour, baking powder and salt, and set aside. 3. Beat the butter and sugar together in the bowl of a stand mixer fitted with the paddle attachment until light and fluffy. Add the eggs, one at a time, until incorporated. Scrape down the sides of the bowl and add the vanilla. 4. 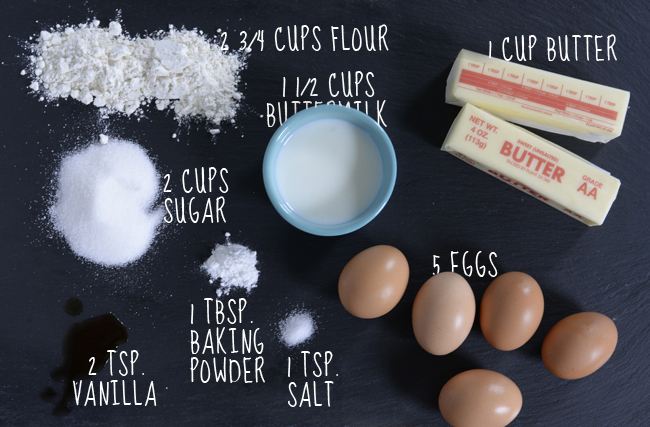 With the mixer on low, add the flour mixture, alternating with the buttermilk until the batter is completely mixed and smooth. 5. Divide the batter evenly among cake pans and bake for 40 minutes or until a toothpick inserted in the center of a cake comes out clean. Cool completely. 2. Use an offset spatula to spread chocolate in an even layer (about 1/8" thick) across the parchment paper. Set aside to cool. 3. Once chocolate is hardened, use a sharp knife to cut 1/4" squares and place in bowls. It's OK if a few of the pieces aren't perfectly square! It adds character to the mosaic pattern. 1. In the bowl of a stand mixer fitted with the paddle attachment, cream the butter and cream cheese until well combined. 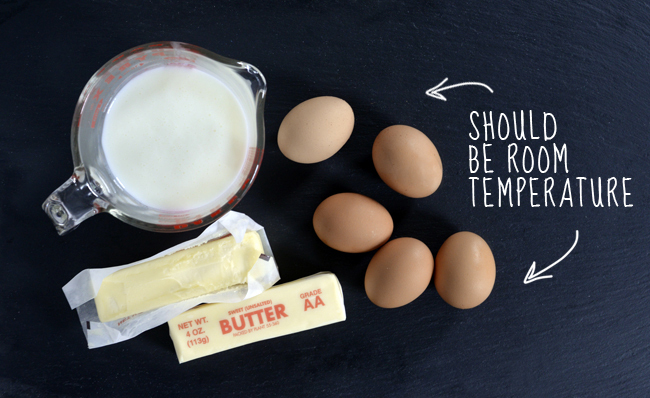 Make sure the cream cheese and butter are both at room temperature, otherwise they won’t mix properly and you’ll have streaks of cream cheese. 2. Slowly add the confectioners’ sugar and mix until frosting is creamy and smooth. Mix in the vanilla and salt. If the frosting is too thick, mix in a teaspoon or two of milk. 3. 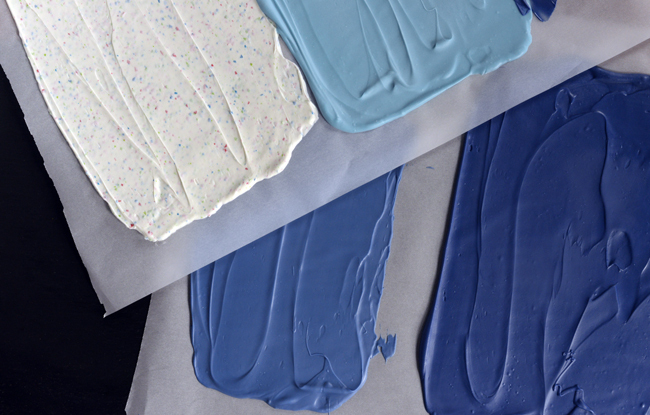 Add a few drops of blue food coloring and mix until you have the desired shade. 4. 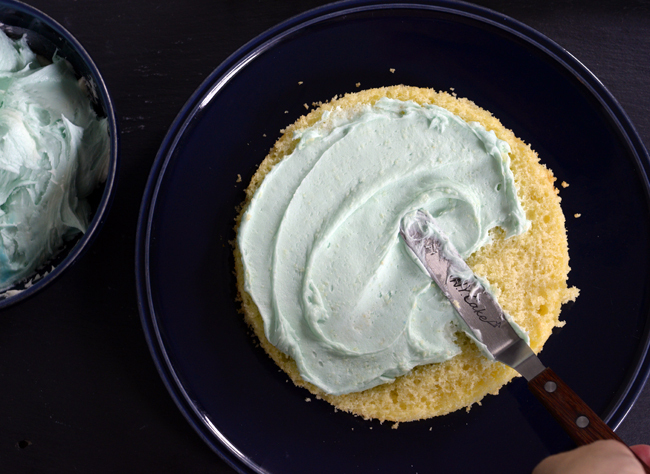 Create a crumb coat by using an offset spatula to spread a thin, even layer of frosting all over the cake. 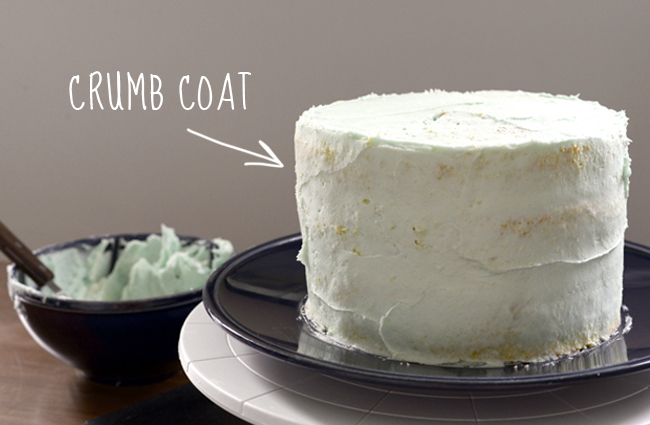 Chill the cake in the fridge for a few minutes before you apply the final frosting layer. 5. 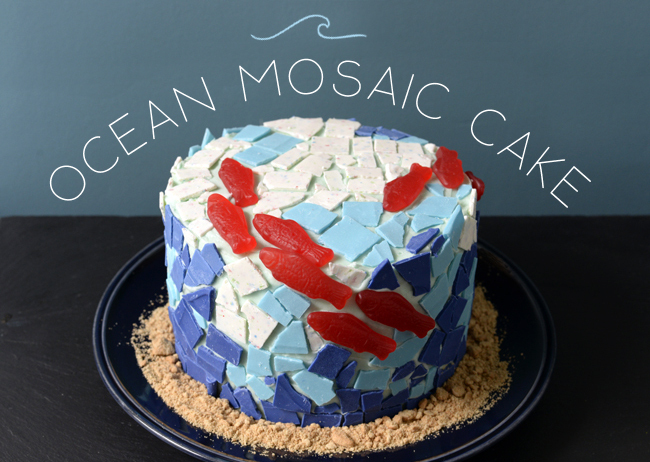 Apply the final coat of frosting, then carefully press on the mosaic tiles and Swedish fish. Spread graham cracker crumbs around the edge of the cake to mimic "sand."